Here at Bisley Pavilion, we are experienced in hosting numerous festivals and large capacity indoor & outdoor events. Events we have proudly hosted include the annual Phoenix Arms Fair; Monkeyfest – where a selection of the world’s elite guitarists meet to both play and teach; The Harley Davidson Sofer Rally – The UK’s only multi-chapter rally; and The Hot Rod Hayride – A weekend filled with Rockabilly, Rhythm & Blues bands by night and Drag Racing action by day; amongst many other fun events. Make sure you check our Events page for all the latest goings-on at the Pavilion. The indoor Pavilion Ballroom also makes for an ideal music venue, with both bar facilities and lots of room for dancing. Past performers at the Pavilion have also included worldwide acts such as Kiki Dee, The SAS Band and the Bonzo Dog Doo Dah Band, as well as numerous others. 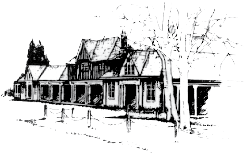 National Shooting Centre, Queens Road, Brookwood, Surrey, GU24 0NY.